I am obsessed with Real Housewives. All of them. I watch every single city with the exception of Miami (they were so annoying) and I may not go back to D.C. because it was boring as hell. And the fashion was embarrassing. (If any of you know any of the DC ladies, please pass along my info. and don't show them this blog. :)) Anyway, New York is one of the cities on right now and the women have travelled to Morocco. It is so funny to see some of them (Sonja and Ramona, specifically) traipse around the city dressed like they're going to a club. Not exactly appropriate, if you know what I mean. But Kelly (as in kooky, crazy Kelly Bensimon) had the best shopping outfit on last week and I had to mention it here because I can't really think of a city that it wouldn't work in. New York, DC, London, Paris, Rome, Marrakesh... the list goes on for sure. Hers was a simple navy to-the-knee full skirt with a plain long sleeve fitted white tee, and ballet flats (maybe in red, I can't remember). She looked perfect and appropriate, dressy but not too, and chic without being fussy. I realized I could copy this look with some similar pieces I have in my closet and I made a mental note to remember this for the next time I travel someplace besides the beach! Here are some examples- tweak as you deem necessary for the city/weather in which you are travelling! Bubbles and Bluegrass- Black Tie, Blue Jeans, and Anything In Between! It says black tie but don't bother breaking out a gown for this event. It's too laid back for something that dressy. That doesn't mean a great maxi dress won't work. There are so many great options out there- just make sure you dress it up with some fun jewelry. How about a cocktail dress? That will work although err on the side of fun cocktail dress, not appropriate-for-a-business-party cocktail dress. This is an event that is focused more on raising money and enjoying friends than trying to impress anyone. It also says blue jeans. That's true. You could wear jeans. But they should be dark and dressy with something really dressy on top like silk, sequins, beading, etc. And definitely pair with heels. What you'll see the most are the fun little dresses most of us have at least one of in our closet. Grab one of those, put some heels and some makeup on, and head on over. If you still can't figure it out, call me. That's what I'm here for! If you're coming straight from work and you have a full suit on, feel free. No one will look at you twice. But loosen up your tie and don't be afraid to do something with a little color given the festive occasion. How about khakis and a polo? Sigh. This is D.C. It is our fall-back male ensemble. You won't be out of place but I encourage you to have a little more fun with this than that. Try to at least grab for a button down! Remember, most of the ladies will be looking gooood... so if you want some attention, you might want to step it up a notch. This year, the folks at Give Back are making it a little more interesting by awarding a prize to the person whose ensemble most embodies the theme of the party. My advice is have fun with it and, most importantly, wear what you feel comfortable in- not including sweat pants, of course! It's not too late to buy tickets online- but just 3 more hours!! After that, they'll be available at the door. You might think it's John Travolta a.k.a. Danny from Grease (one of my all time favorite movies). 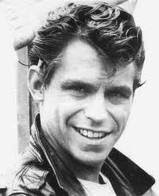 But I think it's actually Jeff Conaway a.k.a.Kenickie. Taxi followed Grease and I loved him there, too. But his most recent "role" on Celebrity Rehab was one of the saddest, most disturbing looks into an addict's life that I've ever seen. As it appears that his life is coming to an end at the age of 60, I just wanted to remember the guy that all the girls, especially Rizzo, were crazy for. 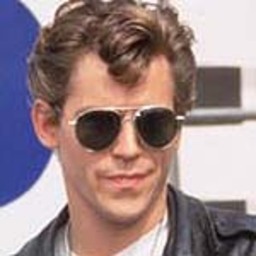 And, I might add, his look from Grease will never go out of style. All guys should wear jeans, black biker boots, a white tee, and a black leather jacket. So cool. A friend of mine gave me a fun book called "Parisien Chic" that's all about how to emulate the style (which permeates everything, not just clothing) of the world's most effortlessly stylish women. It got me thinking about what I think are the items that every woman should have in their possession in order to achieve the ultimate effortless chic. Of course, these don't complete your wardrobe. But, with them, you can pretty much make anything look great. I thought I had moved out of shopping in the junior department many, many years ago. I mean, once I got curves, things just didn't fit like they should. Although, the girls I see these days have plenty of curves so maybe that's not the main reason anymore. Regardless, what is definite is that I don't want to look like I'm trying to reclaim my youth by dressing in clothing inappropriate for my age. (Or just plain innappropriate!) But I found myself visiting this department again for great options in inexpensive accessories. Price and quality definitely do correlate so I never expect my $12 necklace to last much more than a season. But it's great for trendy options. Lately, I've even been venturing into the clothing area and found some cute tops. Last week, it was a blush colored cotton top for $28 and a burn out white tank with a fun dream catcher on the front for $24. This week, I found a pair of "silky" floral print shorts- that were long enough!- for $20. I don't imagine this stuff will get me past this summer but it's perfect for hot days hanging around at the pool and park. I won't care if they get covered in suntan lotion or ice cream drips and, when they do, I'll throw them in the washing machine and wear them again the next week. Here are a couple of examples. Look how inexpensive!! Per a great request earlier today for what to wear on a dreary rainy day, I put these two looks together. One for work, one for casual. This time of year can be so difficult since rain does not necessarily equal cold. I tried to give you some options other than wellies. Even the black high boots in the dressier look are waterproof as are both the jackets and the hat. I love the duck boots in the coral color; what a cute look for spring that won't make your legs sweat! As much as I don't like rain, I do like interesting raincoats and footwear. Of course. Any opportunity to purchase something "necessary." Anyway, here's hoping this rainy week wraps up by the weekend so we can throw on some flip flops and a tank top and head outdoors for some fun in the sun! Thanks to our friends who invited us to a wonderful wine tasting last night at Mt. Vernon. The view was unbelievable, the food was good, and the wine tasting was as much fun as you might imagine. The weather actually was really nice despite a rainy morning and misty day. The rain held off until exactly 9 pm when the event ended. But, as usual, what to wear. We were on grass so no heels (plus I'm still gimpy!). I needed to be able to plop down on the lawn, possibly get wet, and be prepared for a chill once the sun went down. I wore a long cotton poplin sun dress with a little cardigan and one boot. :) But my favorite ensemble of the evening went to a lady dressed something like this. She looked so totally relaxed but still very cool. I loved it. Although there are plenty of days that I wear flat shoes as I'm running around with my kids, you would be hard pressed to find me in them for any kind of social event or even just a day that I'm doing errands but not "heavy lifting." 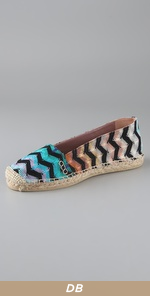 I wish I liked them more but I'm just a heels kind of girl and I guess I always will be. However, a couple of days ago I majorly jammed one of my toes (glamorous, right?) and have been relegated to, as my daughter puts it, "an ugly, ugly, ugly" medical shoe. Which means my good foot is also relegated to a flat. I can deal with this during the day but horrified about this for night. Anyway, the whole thing has gotten me really thinking about cute flats and, luckily, I always find them cuter in the summer. Here are some of my favorites right now. I would like to mention that the toe incident happened while wearing 6 inch platforms and chasing a man who snatched a purse from an old lady. That would be a good story! However, the truth is, I was wearing FLATS and tripped going up the stairs in my mud room. Totally and completely un-glamorous. I know I've talked about this before, but I have to go on again about how much I love hats to define an outfit. I realized this weekend that I've been relying on them heavily (specifically, a couple of fedoras) to make what is otherwise a pretty simple outfit look interesting. On Mother's Day, my family and I were going to ride a carousel, take a walk on a dusty gravel path along the canal, have lunch at a nice restaurant in Leesburg, and visit a farm. I felt a bit stumped as to how to dress for all of these things. So I went simple with a boyfriend jeans, a tee, casual jewelry, and chuck taylors. But I thought it didn't look cute enough for the restaurant. That's when I added a patterned fedora. It made the whole thing so much more fun! Hats can also be used to dress down an outfit, too. On Saturday evening, I was going to a surprise birthday party with my family. I put on some silky pants, low heels, and a matte sequin tank. But I was worried I was too dressy. So I added an ivory straw fedora with a black band and the outfit looked more on the fun side than the dressy side. It has definitely been handy to have a couple of these at my disposal. Also, all of mine have been pretty cheap- $25-$38. Not bad. As I mentioned in a previous post, my husband had the brilliant idea of getting me jewelry for this Mother's Day. As we were looking around, he discovered that The Tiny Jewel Box on Connecticut Ave, NW in D.C. has a once a year sale around Mother's Day every year. As a matter of fact, it goes through tomorrow. Everything- YES, EVERYTHING!- in the store is discounted anywhere from 10-70% off. There was a lot of stuff marked down more than 10%. I would even say the majority was 15-30% off. But I was lucky enough to find a stunning vintage set of gold and pearl earrings with matching pin (that is being tweaked to make it a pendant also) for 50% off! The set is from 1890 and comes in it's original blue leather box with blue velvet inside. The box is all worn and faded and almost as beautiful as the set which is NOT worn and faded but elegant and fun at the same time. I was wearing a vintage dress today (yup- the Chloe dress circa 1970's from Pretty People) with a floppy 70's looking hat and the earrings somehow looked perfect with it even though they are from an entirely different century. Which is what sold me on them. I know they'll go with everything. Run (or get your husbands to!) before you miss out. If you can't make it this year, mark it on your calendars now for next. And, by the way, if you're not a mom, the jewelry looks just as good and the sale still applies! The Best Vintage I've Seen in a While!!! My friend sent me a link to a Washington Post article about a new vintage store in Old Town, Alexandria. Lo and behold, it is owned by Annie Lee formerly of Annie Creamcheese in Georgetown. Her new store, Pretty People, is on the 100 block of N. Patrick St., right off King Street. OMG. It was SUCH a breath of fresh air. Not since Remix, which was in Del Ray, have I had so much fun shopping vintage. The pieces are in great shape. They are very interesting which falls in line with my theory of what wearing vintage should actually be... taking risks because the pieces are (basically) one-of-a-kind and so why would you want to buy a basic? 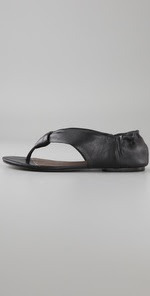 Did I mention, AFFORDABLE!!!??? Finding vintage designer is always fun but it gets tough when the prices are over $500. While there are a few things like that, most of it was well under $100. Great suede fringed vests, bohemian dresses, cool jackets, amazing hats and bags, and tons and tons of jewelry. There is a little consignment and a smattering of new stuff but everything was cool. Did I mention the vintage Chloe dress I scored for 189 bucks??? Even better, the baja inspired jacket by JC Penny circa 1970 that I got for $36??? I wore that jacket today with light wash, wide-legged jeans, big 'ol clogs and a kind of tribal looking necklace and got a bunch of compliments. Which was great because it gave me the chance to tell them where I got such a cool piece. So check it out because it's worth it and we NEED stores like that in Old Town! The other night, my sweet, sweet husband told me to think about what jewelry I might want for Mother's Day. He said, "I realize it's been a long time since I've bought you any jewelry so I thought we should pick something out." I said, "Oh my god! I totally forgot about Mother's Day!" (I truly did.) And then I said, "You are so sweet! But you have bought me jewelry in the recent past." (My favorite piece being my Hermes Midor watch.) I mean, that is a good husband, right?! We discussed and decided that it may or may not be jewelry but that I got to spend a little time thinking about it and let him know. Then again, maybe something more classic and timeless. Something I haven't even thought of yet!